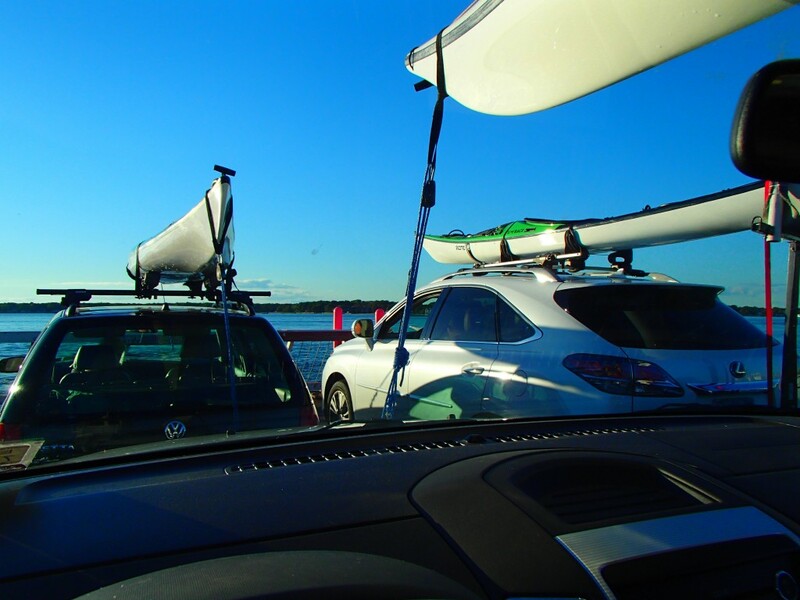 Twelve NACK paddlers set out recently on a perfect fall day to paddle the 20 miles around Shelter Island. 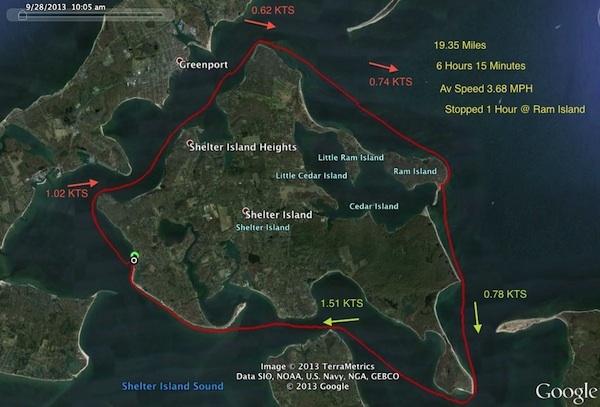 Shelter Island is situated between the forks of Long Island’s east end just south of Greenport. 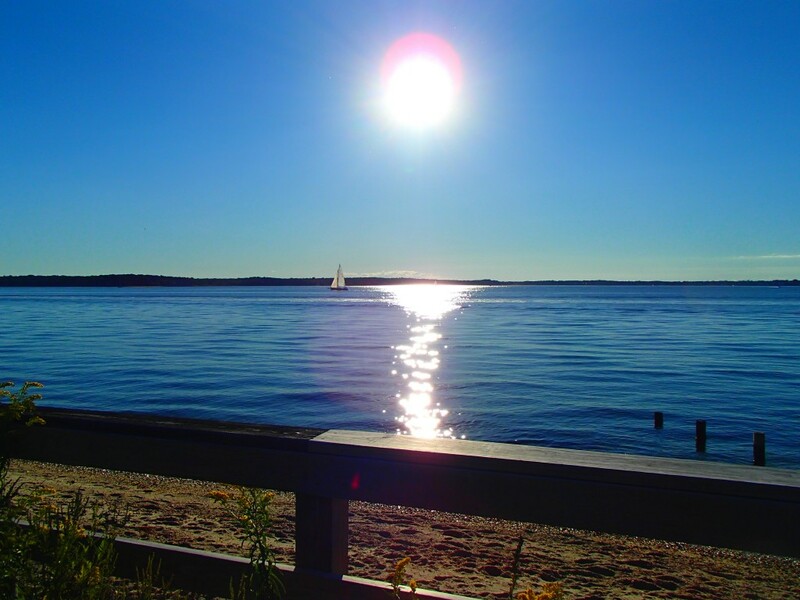 To the north and south of the island are fairly narrow passages that funnel water between Peconic Bay on the west and Gardiners Bay and the Atlantic Ocean on the east. Besides the 20 miles of paddling, kayaking around the island requires dealing some very strong currents. On each tide cycle vast quantities of moving water create currents that at some times exceed 3 knots. 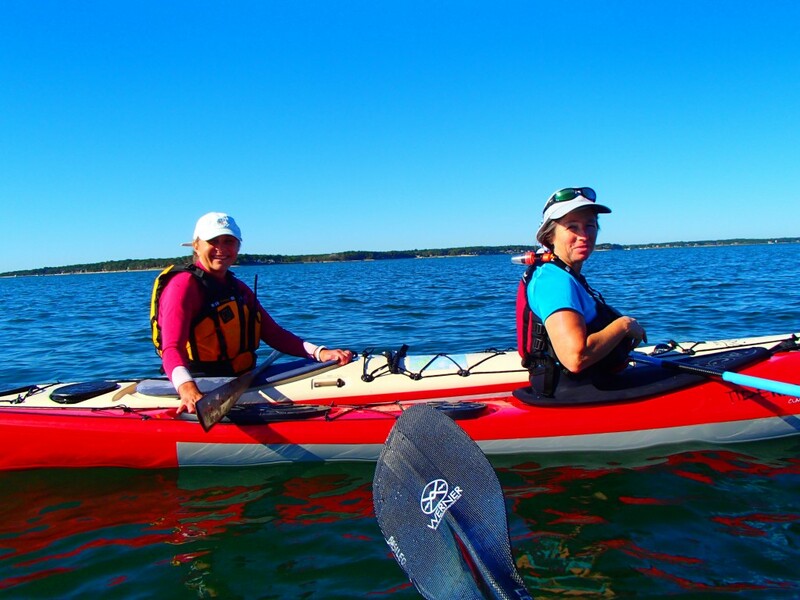 You’ll need careful planning and exact timing in addition to skillful paddling. 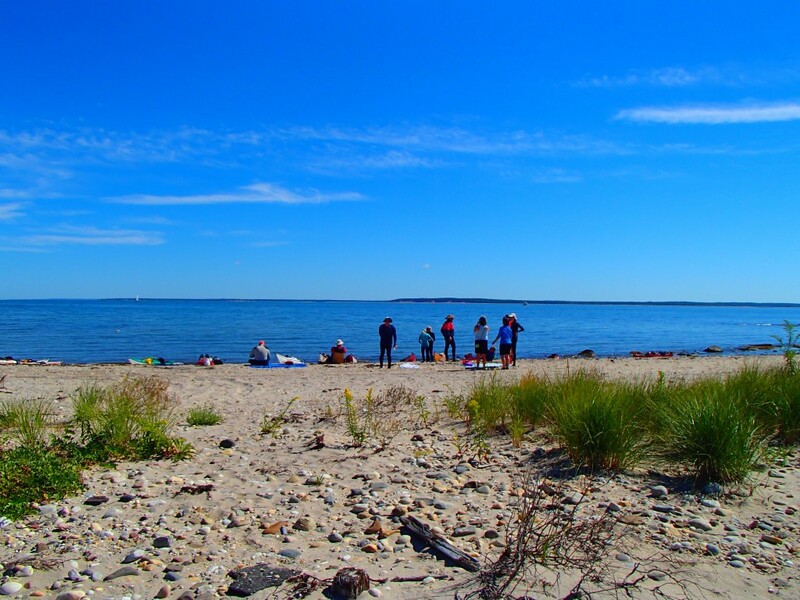 For their efforts paddlers are rewarded with crystal clear water and beautiful surroundings. 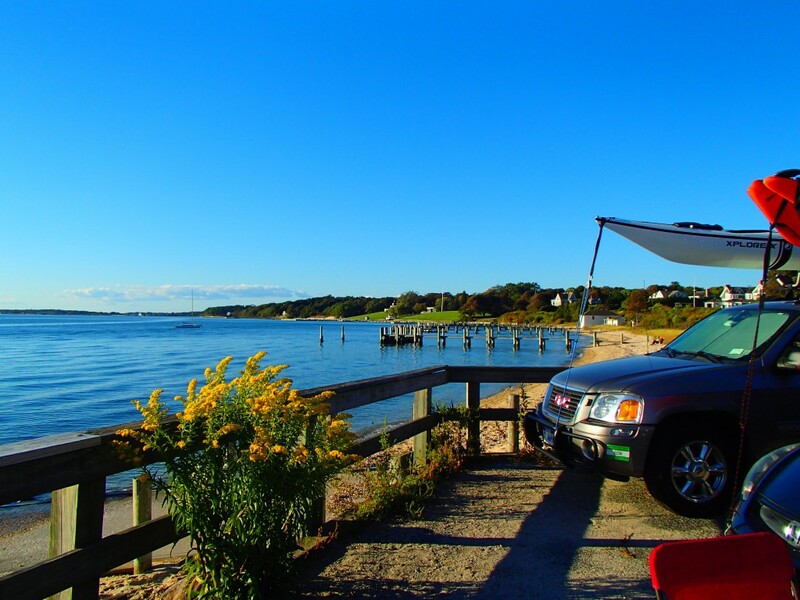 There are pristine beaches, magnificent homes and a couple of lighthouses. Lunch at Reed Point Preserve waiting for the current to change direction. Sunset on Shelter Island Sound after a great day on the water.